I've already decided on my summer uniform. We know it's going to be hot as blazes but I pretty much always want to look cute and put together , even when I'm melting and I've found the perfect piece to keep it cool & casual. Upgraded from plain cut-offs and a tank I've decided to incorporate the uber hip kimono into my summer (and winter) staples. I've been into the look for awhile but was kind of meh about the whole thing until Melinda came over and showed me how to maximize my scarf and make it into a kimono and I was like SOLD! All summer long. I am here for it! I can totally see myself rockin' this look from now until well....it actually gets cold again! And the way the weather has been lately I don't forsee that to be much of an issue so I'm all about it. 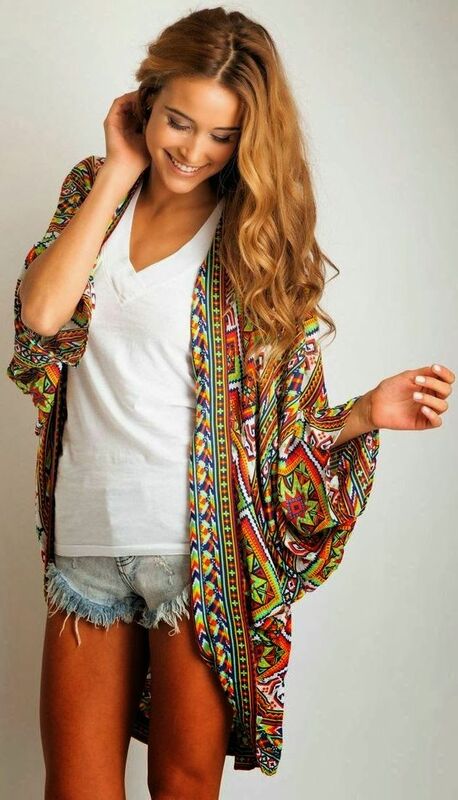 I will be wearing my kimono's with ankle boots and shorts, jeans and sandals and pretty much everything in between! The kimono is kind of like a godsend for me. The perfect cross between cardigan and jacket it still makes quite the fashion statement on it's own and it's just the thing for So Cal living.It fits right into my "mommy chic" motif and I'll be damned if isn't just the perfect item to add to my wardrobe. It didn't help that the lovely girls from TargetDoesItAgain posted one a few weeks ago and I promptly made a beeline for my closest Target only to discover there were two left. One in XXL and the other a S/M. Needless to say I threw them both in my cart while I cruised the store making my final decision. I've got issues of FOMO on stuff like this for reals. 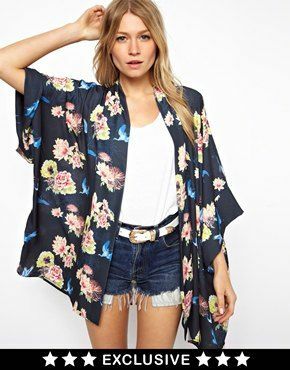 I've literally spent the last few days stalking the ASOS website waiting for this dope Love Kimono to come back in stock in my size and praise the Lord it finally did! Of course this was after I purchased one from Nordstrom Rack on Friday that I was kind....meh... about. However, that will be going back ASAP since the one from ASOS really made my heart skip a beat. 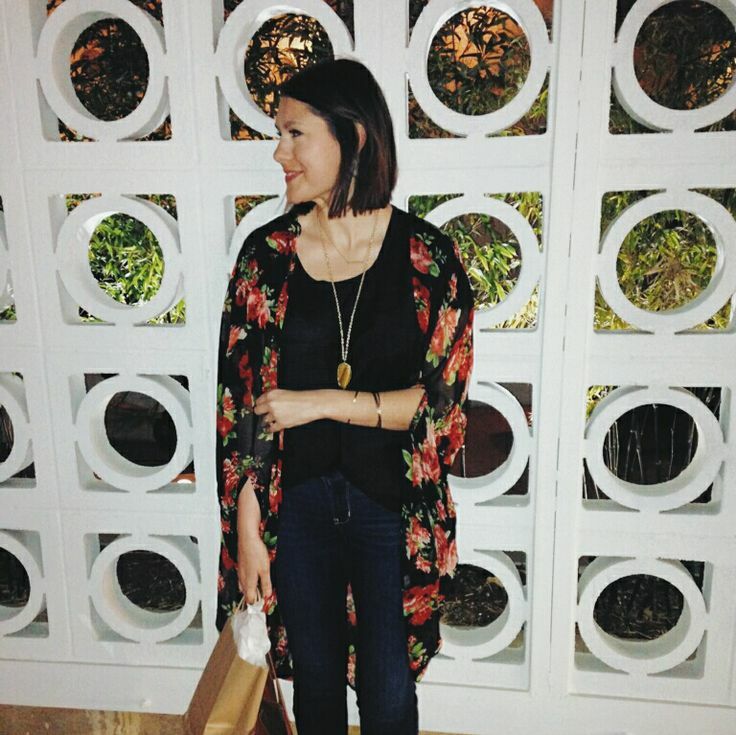 I'll admit that when I first began to see kimono's on the scene, even though it appealed to the boho chic lover in me, I didn't want to just jump on a bandwagon. It seemed so ..... I don't know, hipster ish? But not really? And then the more I thought about how it would work for my lifestyle it just made sense. I've already worn my Target version several times and have no doubt the most recent addition will get just as much play. Factor in some dope Stella & Dot jewels and I'm good to go. Easy like Sunday morning. In fact, you can bet your morning mimosa that this will be making an appearance at several, brunches. SEVERAL. So hope you don't get tired of seeing it! So what's on your style lust list for the spring summer season? Breaking In The New BevMo!